Falksalt Crystal Flakes are saltflakes made of pure mediterranean seawater. The delicate harvesting process makes the flakes look very fine, and it makes them soft enough to sprinkle on a dish as the finishing touch. Some extra ingredients get added to the saltflakes for an even higher taste sensation. There are a lot of advantages when using Falksalt Crystal Flakes. The crispy structure gives an extra dimension to every dish, and because of the concentrated taste, you will need a lower amount of salt. Instead of hiding the salt in the dish, it becomes an active ingredient as a part of the whole. 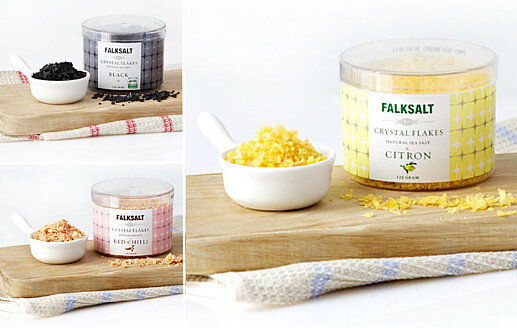 Falksalt Crystal Flakes are obtainable in eight different flavours. Pepper and Salt fresh out of the À Table! herb mills!